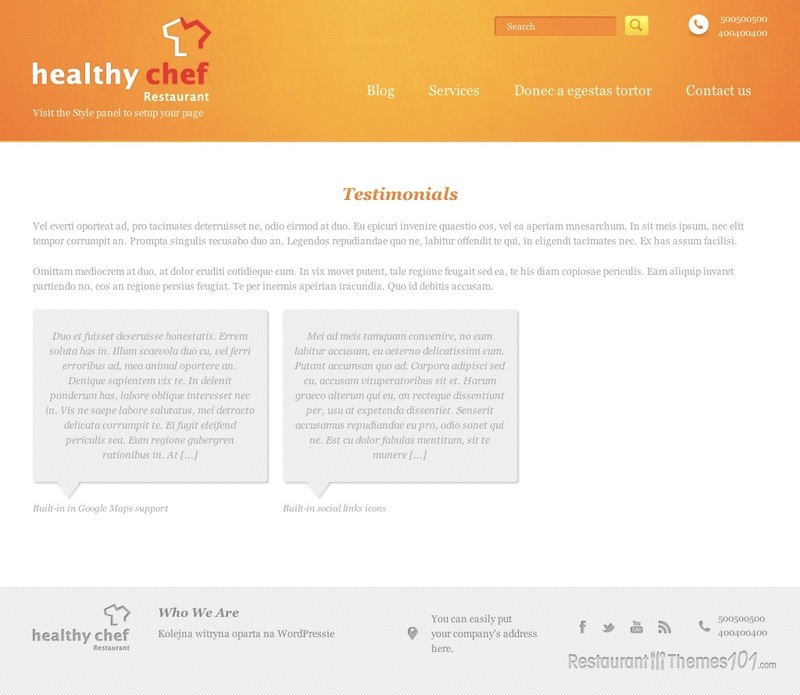 If you are looking for a nice WordPress restaurant theme, Healthy Chef is a nice choice. 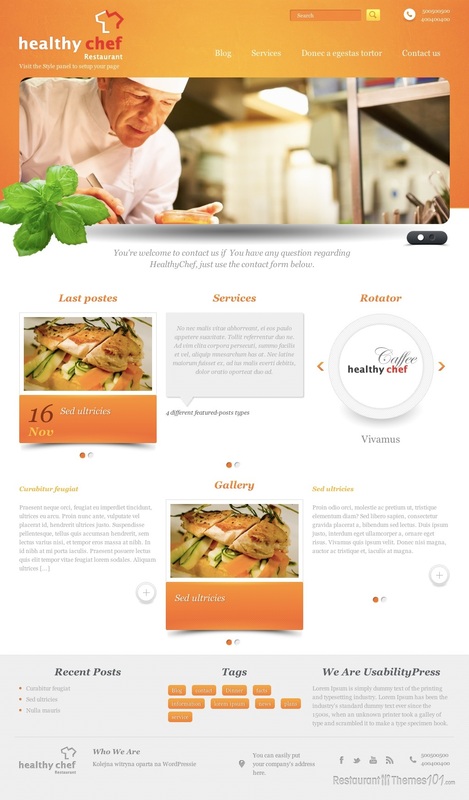 It was created by Usability WordPress and it is featured at Mojo Themes. This theme looks very professional and very compact. The layout is very attractive, with the colors orange, light great and white prevailing. The homepage is enhanced by a wide slider, perfect for placing quality photos of your delicacies and attract your visitors’ attention right away. The photos of the slider will be linked to proper pages, so your guests can get to the page they desire by simply clicking the photo that caught their eye. A friendly welcome note can be placed under this slider, or a catchy phrase that will stay in your guests’ mind for a long time. When it comes to your posts, you can choose between 4 different featured post types and 8 good looking page templates. 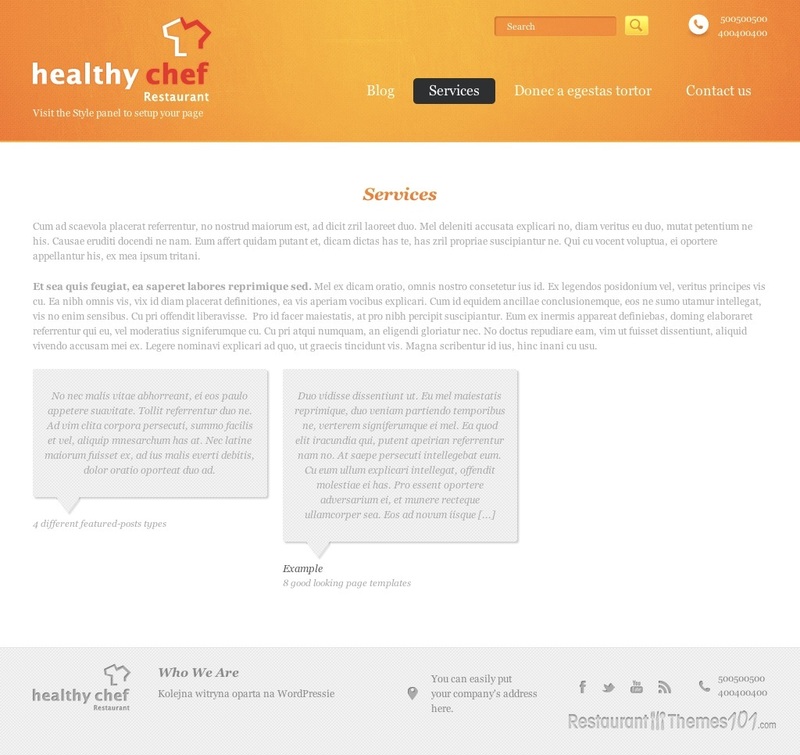 This nice theme allows you to feature testimonials from your satisfied customers and present them to your visitors. The Google Maps integration makes a nice addition to the theme, and it will allow all of you visitors, even out-of-towners to easily get to your restaurant. 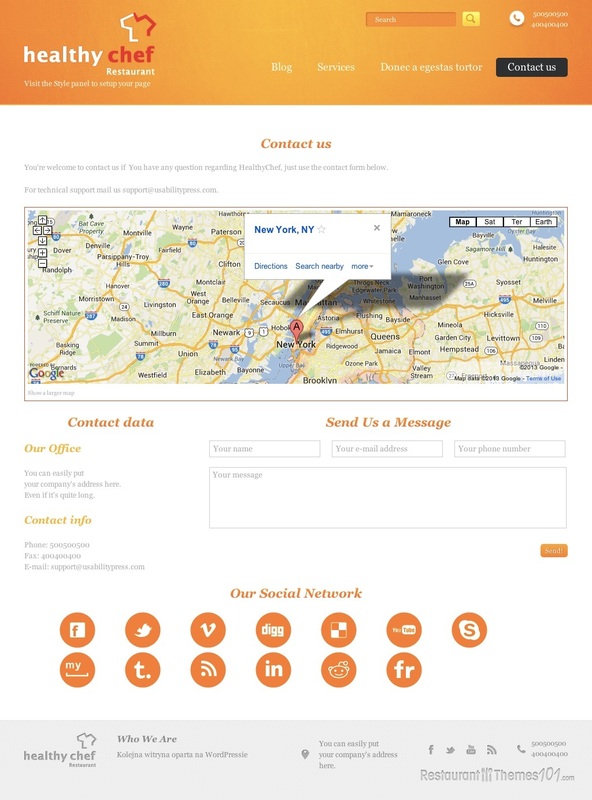 There is a very wide range of social links icons built in, and this gives you endless sharing possibilities. A search form was added so everyone can find exactly what they are looking for very quickly, without snooping around the website for hours. There is a great looking and very simple contact form added, so your visitors can message you anytime through your website. 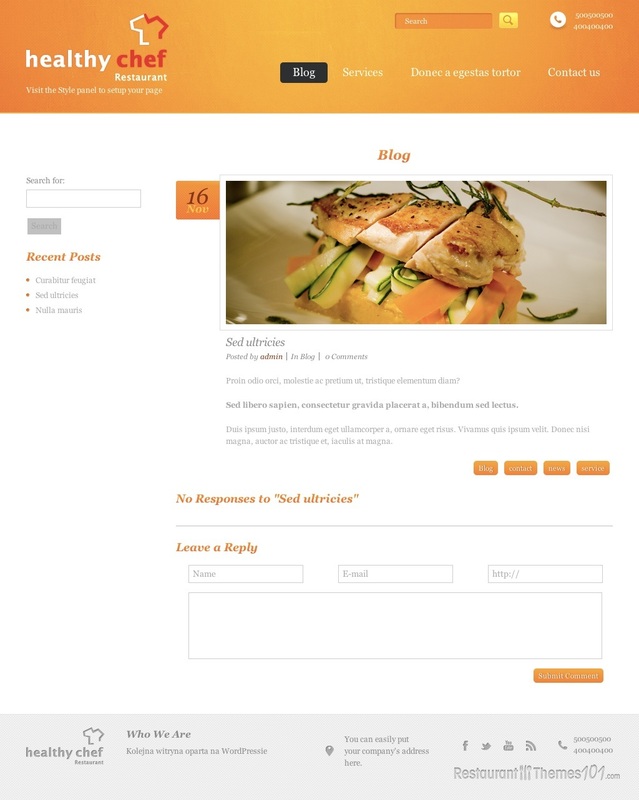 Everything is very easily manageable with this restaurant theme for WordPress, including creating your own unique menu and placing your own logo. There are many configuration possibilities you can play with. There is a mini slider with images included, and many more nice features that will make your website very attractive and interesting, including the possibility of setting your own translation. You don’t have to be a professional to run this theme, and if you have any problems or questions, there is a great theme support offered.